Dare I throw caution to the wind and admit to believing that wallpaper is finally shedding its not so complimentary reputation from years ago. One look at these beautiful prints and I’m sure you’ll be contemplating reaching for a glue pot for some instant wow factor! Whether for a feature wall or a whole room, you can’t possibly put a style foot wrong with these recently launched Muffin & Mani wallpapers. 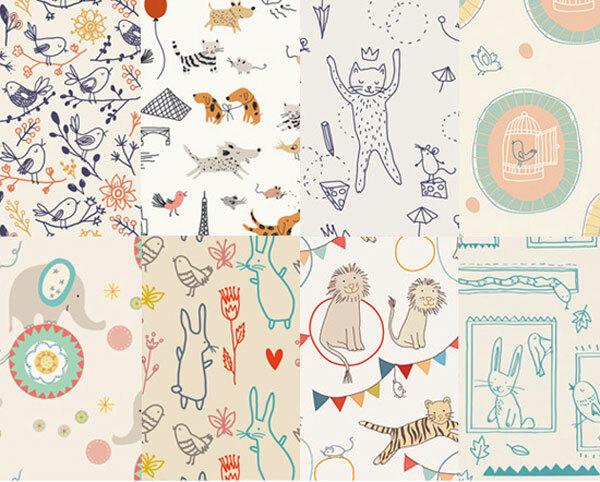 Eight divine new prints are available in a collection morphed by the ever fabulous children’s illustrator and pattern designer Sarah Betz, of Little Cube fame. Sarah weaves her talented magic to create the most sublime wallpaper I’ve seen in quite some time. I’m shamelessly swayed by anything Parisian themed so naturally j’aime and j’adore the magnificent Paris illustration followed up very closely by the Mice & Cats. All designs are printed on eco-friendly PVC free papers with non-solvent inks and is easy to care for – sticky fingerprints simply wipe off! 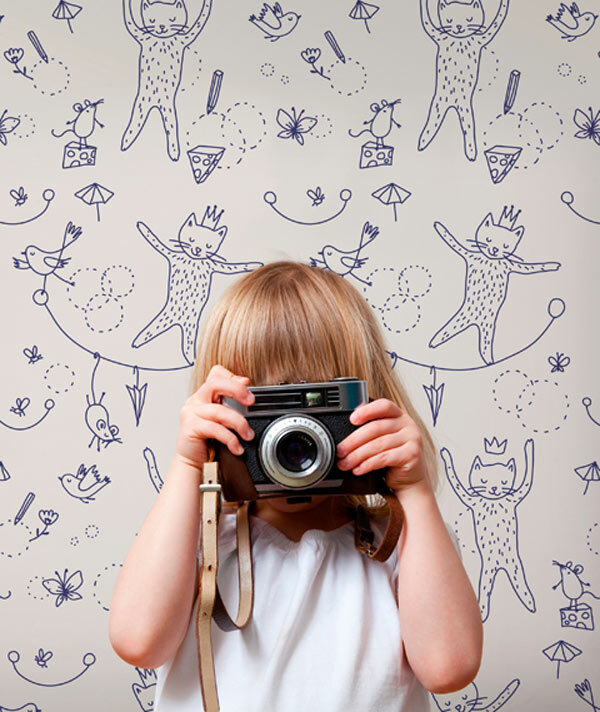 These amazing Muffin & Mani wallpapers are purchased as a 70cm x 10m roll, priced $220 and are available from Down That Little Lane.